LOS ANGELES, CA / ACCESSWIRE / November 3, 2016 / Karen Glass, founder of ZerOwaste, is pleased to announce the launch of her new clothing line that transforms fabrics from textile waste to conscious luxury fashion. To learn more about ZerOwaste and the professional and talented team behind this unique project, as well as watch a short video about the new clothing line, please visit https://goo.gl/tdbbA9. After 30 years of experience in the textile and apparel business, Glass became very aware of all of the garment waste that she felt personally accountable for. Over time, she'd made tons of pieces which were later seen in thrift stores, in the trash, and even in the alleyways of Paris. These experiences inspired her to create ZerOwaste, a clothing line that transforms textile waste into conscious luxury fashion. The brand is taking advantage of the upcycling trend to create beautiful pieces that act both as artistic pieces and very wearable additions to one's wardrobe. And as a bonus— it's all created in a way that is both socially and eco conscious. As a spokesperson for the project noted, the new ZerOwaste brand features three lines. 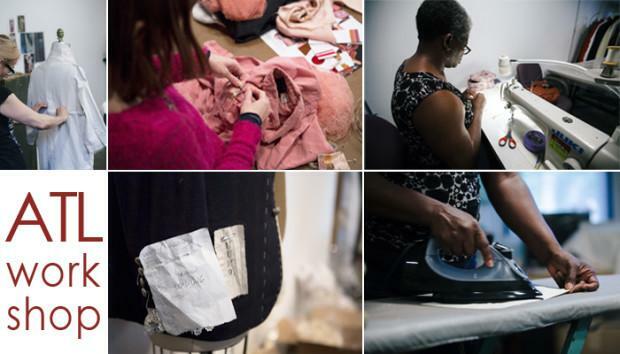 "O Archive uses global fashion artifacts transformed into bespoke, one-of-a-kind pieces," the spokesperson said, adding that the second line, O2, is made from second hand items. "Factory waste, thrift store finds, and menswear are reinvented into women's clothing with gorgeous and elegant detailing." O Knit is the third line, and features fully fashioned knitwear that emphasizes the brand's philosophy: live life with fewer things of greater value. "They use finely spun Italian yarn in these luxurious and socially conscious pieces. The knitwear is made in Nepal as the brand believes in contributing to the economy of a developing country to bring opportunities to the people," the spokesperson said. In order to help pay for the costs associated with producing and marketing her new clothing line, Glass recently launched a fundraiser on Indiegogo. She hopes to raise $190,000 through crowdfunding and help reduce the amount of fabric that ends up in the landfill, one gorgeous article of clothing at a time. ZerOwaste is a new clothing line launched by Karen Glass. The project aims to reduce the massive amount of textile waste—which ranges between 11 and 13 tons a year—by up-cycling the used textile pieces and second hand clothing into new and beautiful articles of clothing. For more information, please visit https://goo.gl/tdbbA9.